Notes: Castello di Terra (English: Land Castle) is a castle in Trapani, Sicily. It was originally built in the late 12th century, and was modified over the years until the 19th century. The castle is now in ruins.The Castello di Terra was built in around 1186, and was expanded in the second half of the 14th century and modified again in the 16th and 17th centuries. 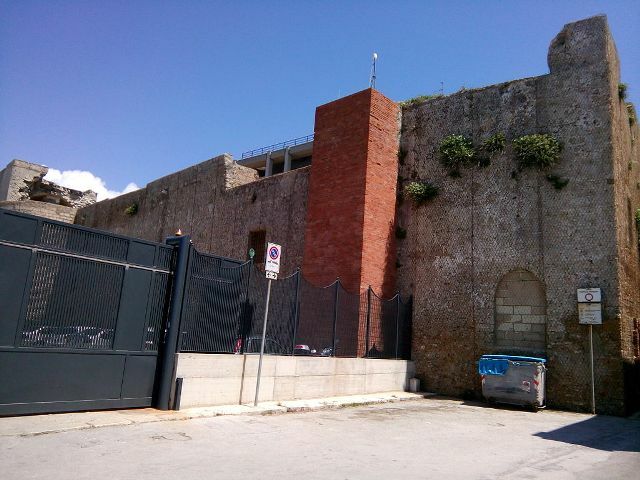 The castle was originally located at the mouth of the channel linking the Tyrrhenian Sea to the port. Parts of the castle were converted into barracks in the 19th century. The barracks were demolished in the 1970s and their site is now occupied by a police station. Archaeological excavations and a partial restoration were carried out at the castle in 1992 and 1994.